Shanghai Metal Corporation introduces various products such as inox decorative sheet made of high-quality metals. The company uses their main components which consist of service, management, and craftsmanship to ensure customers’ satisfaction. Shanghai Metal Corporation (SMC) is a leading manufacturer in China. The company has been giving service to a lot of customers from different business backgrounds for more than 30 years. SMC specializes in providing metal products in the best quality including stainless steel, copper, galvanized steel, carbon steel, aluminum, and steel structure. The company only utilizes high-quality metals to produce their products. It is to make sure that all of the customers can get the best items they need from the company that meets their budget. SMC as a big company of metal products mainly manufactures fitting, bar, sheet, strip, coil, and foil. Meanwhile, the company’s main business is industry service to supply people’s business with a construction project, electric system, and machinery as well as the parts. 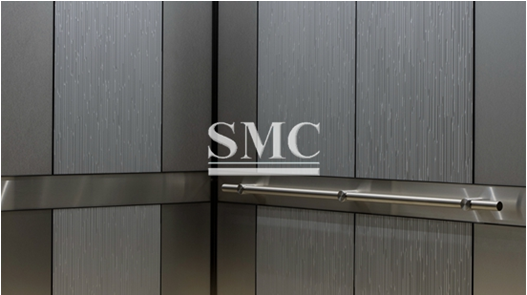 One of the most popular products of SMC is the stainless decorative sheet. The product comes with various widths including 1000/ 1219/ 1500/ 2000mm to opt while the length can be ordered based on the customers’ requirements. It is created by using an advanced technological process of hot rolled and cold rolled to ensure the product’s quality and durability. For the cold rolled, the thickness reaches 0.4mm – 10mm while the hot rolled has a thickness of 3.0mm – 60mm in size. The decorative sheet that made of stainless steel produced by SMC is supported by anti-fingerprint, embossed, vibration, etched, and beads blast finish. “Our company is comprised of experienced and professional staff, whose primary principle is to meet our customers’ needs. We seek to couple our domestic material advantage, mature technology, and advanced equipment to best suit our customers,” said the company’s representative. The decorative stainless plate of SMC is also very popular among customers. The product comes with the same width as the stainless decorative sheet. The length of the product can also be adjusted based on the clients’ requirements. The stainless steel products of the company can be applied for various purposes such as domestic (sinks, microwave oven liners, saucepans, razor, and cutlery), transport (road tankers, exhaust system, ship chemicals, ship containers, and car trims), medical (surgical instruments, MRI scanners, and surgical implants), and oil/ gas (cable trays, platform accommodation, and subsea pipelines). Shanghai Metal Corporation (SMC) is a respected manufacturer that specializes in producing various items made of metal. Being located in China, the company has been around since 1980 and become one of the largest international group company in the country. SMC is established to supply components of an electric system, machinery, and parts, as well as construction projects that will be perfect the most to support the people’s business. All of the metal products provided by the company are of high quality. They are durable and made of the best materials to make them such a profitable investment in every business.